We had passed the Johnson headstone dozens of times in the months we’ve been volunteering at East End Cemetery. We had dragged tree limbs and hauled brush across the family plot to the Dumpster, skirted the stacks of old tires that other workers had parked there until they could be carted away. But we hadn’t noticed it. The large granite memorial honoring William I. Johnson Sr., his wife, Hannah, and one of their grandsons simply didn’t need us. It wasn’t enmeshed in English ivy or choked by brambles, like the thousands of other headstones still waiting to be revealed. But our best explanation for not seeing Mr. Johnson, born enslaved in 1840, is that we hadn’t been looking for him at East End. He was part of another story—in fact, an increasingly vital character in Make the Ground Talk. We knew he had lived in Richmond, thrived here, but we hadn’t gotten around to figuring out where he’d been laid to rest. Until Wednesday night. That’s when the two main tracks of our Virginia life, creating Make the Ground Talk and working at East End Cemetery, crossed. Our volunteer work at East End is, in a sense, accidental. We started to film there for Make the Ground Talk. We had heard that people were cleaning up a historic black cemetery, which we thought would make excellent footage—footage we can’t get at Old Orchard, the burial ground at the center of our documentary, because we can’t visit regularly. It is a top-secret military base, after all. We have, in fact, been prohibited from filming there since the summer of 2012. We returned to East End ready to work because we saw the power of what volunteers there were doing—clawing back fragments of our history one headstone at a time. There's a lot to be said for documenting and image-making, but what’s going on at East End is vital, hands-on work. Church members, Scouts (Girl and Boy), students and little squirts, young professionals, retirees, even active-duty soldiers routinely reclaim evidence of black lives from the dirt nearly every Saturday morning. They've cleared almost two acres of cemetery, out of roughly 16, in about two years. On May 28, 1937, Milton L. Randolph, an African American interviewer with the Works Progress Administration, sat down with William I. Johnson Sr., then 97 years old, asked him a series questions about his life, and recorded Johnson’s answers, in his words, with pencil on paper. His is one of more than 100 extant "ex-slave narratives" gathered under the Virginia Writer's Project in the late 1930s, a priceless collection of interviews with formerly enslaved people. There are barely seven pages of Mr. Johnson's story, later typed and archived at the Library of Virginia, but there is valuable detail that we will most likely never find for Mat and Julia, my great-grandparents. Mr. Johnson matters to us because he and Mat Palmer, born circa 1850, were contemporaries with similar roots. Fragments of Mat Palmer’s story mirror aspects of Mr. Johnson’s. Both men had been enslaved in Goochland County. Both men served in the United States Colored Troops. And both lived in Richmond. The white family that owned Mr. Johnson appears on an 1864 map not far from A. M. Hobson, the Confederate officer who owned Mat. Mr. Johnson and Mat Palmer weren’t next-plantation neighbors, but they lived within a few miles of each other—which we find nothing short of astounding. William I. Johnson appears in the 1910 census with his wife, Hannah, and three of their five children. According to Richmond city directories, the family lived at 516 N. Harrison Street, just south of Broad, for many years. Mat couldn’t read—he signed documents with an X—and appears on censuses as “day laborer,” and later “farmer.” In the army, he’s listed as a private with a regular infantry company. His apparent lack of special skills or education, and his later life as a farmer lead us to believe he worked in the fields. Mr. Johnson was a member of First Baptist Church, the city’s foremost “colored” house of worship at the time, and of countless fraternal and civic groups—the Odd Fellows, Masons, Good Samaritans, Order of St. Luke’s. We know that Mat Palmer was a deacon of Mt. Pilgrim Baptist Church in Williamsburg, but we don't know anything about his affiliations. Chances are good, though, that he belonged to the Odd Fellows, which had a lodge in Magruder, where Mat and Julia lived. “I have raised all of my children, educated them—then college, those who wanted it,” Johnson told Randolph. 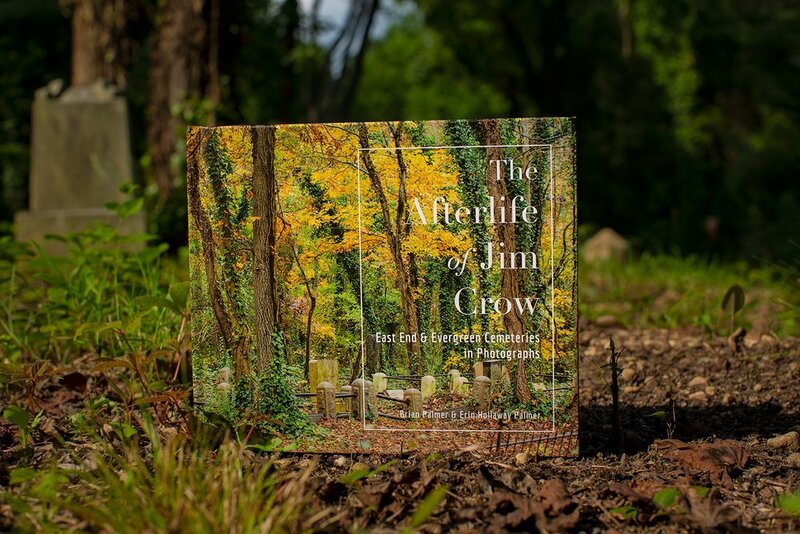 Mat couldn’t say the same—the Palmers didn’t have college money—but he and Julia were able to leave their children land on which to live and to farm, a tremendous legacy for a black family in Jim Crow America.